For anyone wishing to immerse themselves in the delights of Italian food, but looking for something a little sweeter, Pasteria could be the perfect choice. 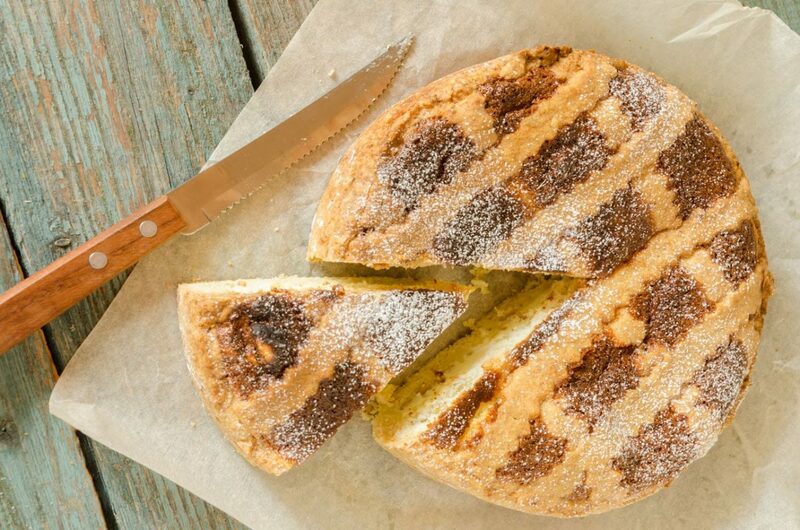 The pastiera is considered a traditional Easter cake filled with a delicious variety of ingredients including shortcrust and filled with a ricotta-based mixture (like the traditional Italian cannoli and another Neapolitan dessert, sfogliatelle), boiled corn in milk, candied fruit, sugar and eggs. Bright yellow in color, the cake derives its unique taste from the mixture of cinnamon, vanilla, orange peel and orange blossom water. 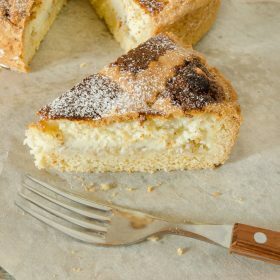 Italians do like to make their desserts a little unique, with different regions adding their own variations to the recipe. On the Sorrento coast, for example, the addition of custard cream to the filling is widespread, rice is used instead of wheat in Beneventano, while tagliolini or spaghettini are used in Nola. So technically speaking whichever decisions you make in regards to ingredients, your Pasteria will probably share a resemblance with one region or another. WHERE DOES PASTIERA COME FROM? The name “pastiera” is believed to come from the custom of replacing wheat with pasta. However, even that is not strictly true because there are bakers who leave in whole wheat or use a combination of wheat and pasta. Pastiera is considered an Easter cake because it has important symbolic meanings linked to the rebirth of nature. These rites, through food offerings, sanctioned the return of the fertile season and have been celebrated since for thousands of years. In Roman times, for example, the priestesses of Cerere celebrated the return of spring with a sacred procession that had as its protagonist the egg, symbol par excellence of the rebirth. With the advent of Christianity, the pagan recurrence of spring is translated into the resurrection of Christ, but the symbology remains largely the same. Every ingredient of pastiera, represent a specific part of the religious festival. The sweetened ricotta, for example, is considered by many to represent the transfiguration of votive offerings of milk and honey that the catechumens received during the baptism, on Easter night. The wheat cooked in milk symbolizes the fusion of the animal and vegetable kingdoms and is at the same time a sign of wealth. The eggs represent the nascent life and fertility, while the orange blossom water announces the blossoming of nature. A whole host of symbolic meanings, therefore, that through the centuries have been handed down to us, which even today in this fast-paced ever-changing world, we consume this dessert, giving thought to that special time of rebirth and fertility. Being Italian, there are many stories and legends related to this beautiful and fragrant dessert. Although there are too many to discuss in this article here are just a few of the better-known ones. Once upon a time on the beach, at night, the wives of the fishermen left the baskets with ricotta, candied fruit, wheat, eggs and orange flowers as offerings for the sea. Their hope was that the sea would let their husbands return to earth healthy and saved. In the morning, when the wives returned to welcome their husbands, the women noticed that the waves of the sea had mixed the ingredients, and together with the returning men, a cake appeared in their baskets. Another well-known legend talks about the siren Partenope, which every spring, emerged from the waters of the Gulf lying between Posillipo and Mount Vesuvius to greet the locals. To thank her for this sweet gesture, the people decided to offer her what their most precious and valued gifts, and seven girls were chosen to hand over the gifts to the siren. The first was flour, a symbol of the strength and wealth of the countryside; then followed ricotta, the shepherds’ homage, the eggs, symbol of the life that is born, the wheat boiled in milk, symbol of the two kingdoms of nature, the water of orange blossoms, symbol of the scents of the earth, spices as a symbol of people further away in the world and finally sugar, to express the sweetness of the song of Partenope. 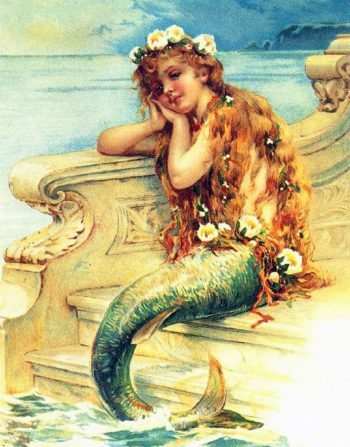 The mermaid, happy with the gifts received, placed them at the feet of the Gods, who with their divine arts mixed all the ingredients. That was how the pastiera was born. It seems that the current version of the cake was developed in the sixteenth century by the nuns of the convent of San Gregorio Armeno, where the famous Italian street food market takes place today, who used to give the Pastiera to the aristocratic families of Naples. Another story tells of Maria Teresa D’Austria, wife of Ferdinand II of Bourbon, yielding to the insistence of her husband, agreed to eat a slice of pastiera and after having enjoyed it smiled for the first time in public. It was here that Ferdinand let out a nice joke: “To make my wife smile she wanted the pastiera, now I’ll have to wait for the next Easter to see her smile again”. The characteristic ingredients, which cannot be changed, are the ricotta, an ingredient of the season that gives softness to the filling, the aroma of orange blossom, and the wheat. The ideal method of preparation would be to use soft wheat grains to cook directly, rather than rely on the precooked grain that is commonly found at the supermarket. Ricotta is the ultimate curd cheese and is made from sheep or full cream cow’s milk. I love this cheese and since it’s really low fat (about 13%) it’s certainly a better bet than many other cheeses. For the record, even though it is made from curds, it is not a curd cheese but a whey cheese and the word ‘ricotta’ means ‘re-cooked’; the cheese is made from whey, a nutritious low-fat liquid that is actually a by-product of cheese production. It’s made from the liquid that has been separated from the curds when cheese is made; you see, most of the milk protein & almost all the casein is zipped out but some protein is still left in the whey – mainly the albumin. This remaining protein is usable if one allows the whey to ferment and that happens when you just leave it for a full day and night at room temperature. It is a simple process that does not require the cook to do too much. After this, it’s heated to just below boiling point and when this happens, some of the protein precipitates out & a fine curd is formed. Once it’s cooled down again, these curds can be passed through a cloth and voila. You have the sweetish cheese we all know as ricotta. The procedure is simple: just soak the wheat grains for at least three days, changing the water in the morning and in the evening, then rinse well and cook in water (about 2 liters per 500 g of wheat) until all of the water has been absorbed. After a 24-hour rest in the covered pot, rinse it under running water and then proceed with the normal recipe, which normally involves cooking it again in milk. The pastiera is generally prepared on Holy Thursday and left to rest for three days so that the flavors blend together in the best way. The cooking must be slow and the temperature is not very hot: the filling must almost dry, slowly to prevent the taste of the egg becoming the main flavor. 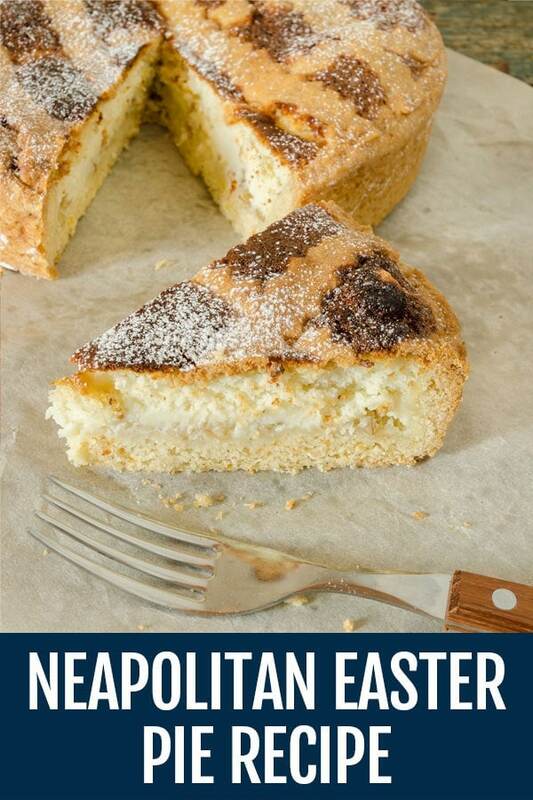 The Pastiera Napoletana is a classic pie served during Easter time in the Napoli region. Place the flour and sugar in a bowl on a pastry board. In the center add the lard and the eggs, together with the grated lemon peel. Quickly knead everything until you get a compact and smooth mixture, without working the dough too much. Wrap the dough in the transparent food wrap and leave to rest in the refrigerator for about an hour. Put the cooked wheat, milk, butter and the grated rind of lemon into a saucepan. Cook for about 10 minutes, stirring often so that the mixture becomes creamy. In a separate bowl, sift the sheep's ricotta and add the sugar, eggs, egg yolks, vanilla, a tablespoon of orange blossom water and a pinch of cinnamon. Work the mixture thoroughly until it becomes smooth in texture. Add the grated lemon rind and the candied fruit cut into cubes. Mix everything well and add the cream of wheat which you prepared earlier, which will have cooled in the meantime. Pick up the shortcrust pastry from the fridge and spread it to a thickness of about ½ cm. You can use a pasta machine to help you with that. Take a baking pan of about 30 cm in diameter, butter and flour it, then cover it with the pastry. Cut out the excess, and set it aside as it will be used later to prepare the decorative strips. Pour the previously prepared cream inside, level and fold the edges of the dough inwards. Decorate with the strips forming a kind of criss-cross similar to pies. Brush the surface of the cake with a beaten egg yolk and bake in a preheated oven at 180 ° for about 1 hour and 30 minutes. The pastiera must have an amber color. After cooking, take it out of the oven, let it cool completely and then sprinkle with icing sugar.